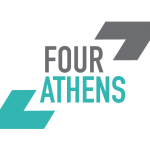 Join Four Athens to become part of the community and gain access to our network of mentors and benefits! This web site "Four Athens Membership" has been built using Plasso, Inc. ("Plasso"). Plasso will only collect your personal information when you purchase products on Plasso, or when you voluntarily sign-up for a membership account using Plasso. Information collected from you will never be sold, rented, or shared with third-parties. When you sign up for a membership account with Four Athens Membership, Tiffany Rainey - the creator of Four Athens Membership - will have access to all the information you enter into the system when signing-up or purchasing. However, your credit card or other payment information information is never stored or viewable on the Plasso system. When you sign-up for an account with Four Athens Membership, Tiffany Rainey - the creator of Four Athens Membership, we will collect your Name and Email Address. We may also collect other information that Four Athens Membership has been configured by Tiffany Rainey to collect. We do not store your credit card information. That is sent to and stored at one of our credit card merchant providers, Stripe or PayPal. You are free to remove all the personal information we've gathered from you, when you voluntarily signed-up for an account, at any time by cancelling your account with Four Athens Membership from your account dashboard.